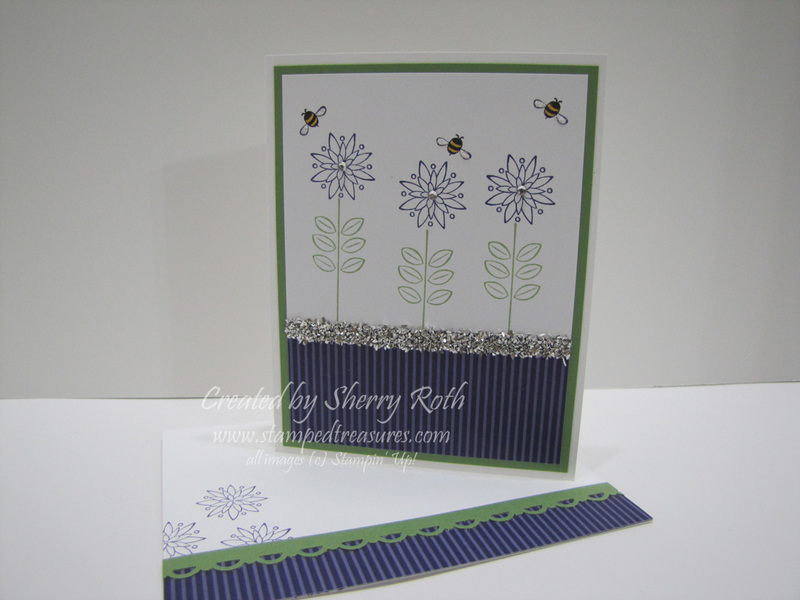 Sherry"s Stamped Treasures: Last Day of Sale-a-Bration! Good morning! I hope you are having a fabulous day so far. Well today is the last day of Sale-a-Bration - last day to get free product with your $60 purchase (before shipping & GST). If you haven't already checked it out the SAB mini can be viewed here. Todays project was one we did at stamp club this month. Everyone really loved it - lots of bling and not my normal style but fun nonetheless! 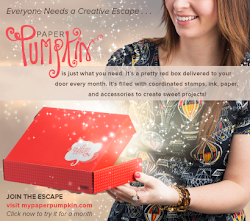 It uses the adorable Sweet Summer SAB stamp set. The strip along the seam of the dsp and the white cardstock is some of our silver glass glitter. We applied it by running a strip of Sticky Strip across the cardstock and then sprinkling it with glitter and pushing it in with your finger. It's a no fuss way to use this glitter and really holds well. You can see in the photo, that I've decorated my envelope to coordinate with the card. While you have all the supplies out, you may as well decorate the envelope using some of the scraps you have leftover from your project and it's such a nice touch! Thanks for stopping by! Last day to place your Sale-a-Bration order!